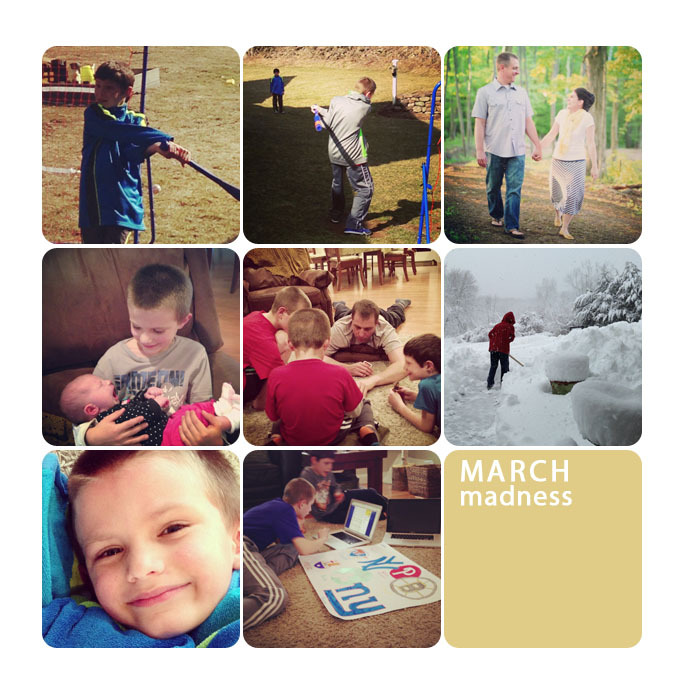 It has been a full month at the Zahner household, but we are back and blogging after a 2 week hiatus. Kevin and I celebrated our 13th wedding anniversary this month, I am so thankful for my wonderful husband. We are excited to have a new little nephew Cameron James, along with our little Brooklyn, these babies are bringing so much joy to our families. 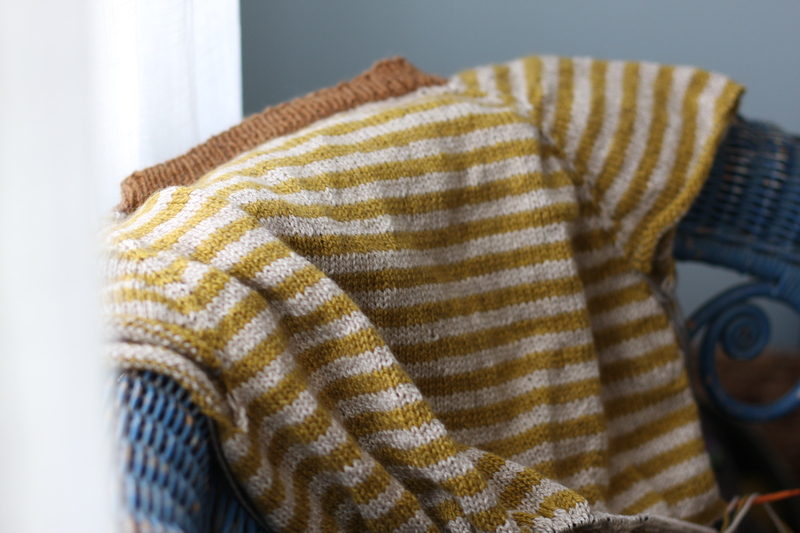 I began knitting Honey by Amy Miller and during the past few months I have been picking at it. I only need to finish the bottom of the body and the sleeves. I think this will make the perfect spring pullover. I just need to finish it! I am knitting with a discontinued yarn that I had in my stash. 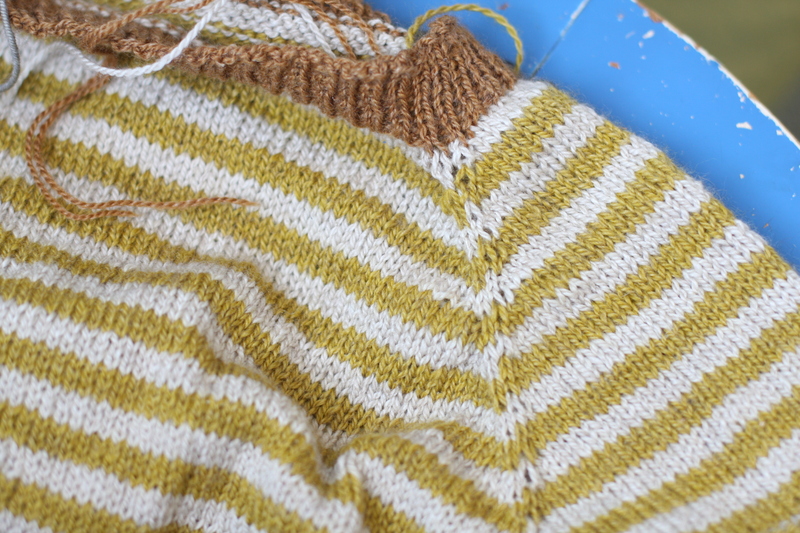 It is knit on size 4 needles but really moves quickly because of the top down construction. I highly recommend this well written pattern. Thanks for your patience with our blogging lapse! Babies and boys will do that to you! Well, I’ve missed your posts, BUT babies are a good reason! 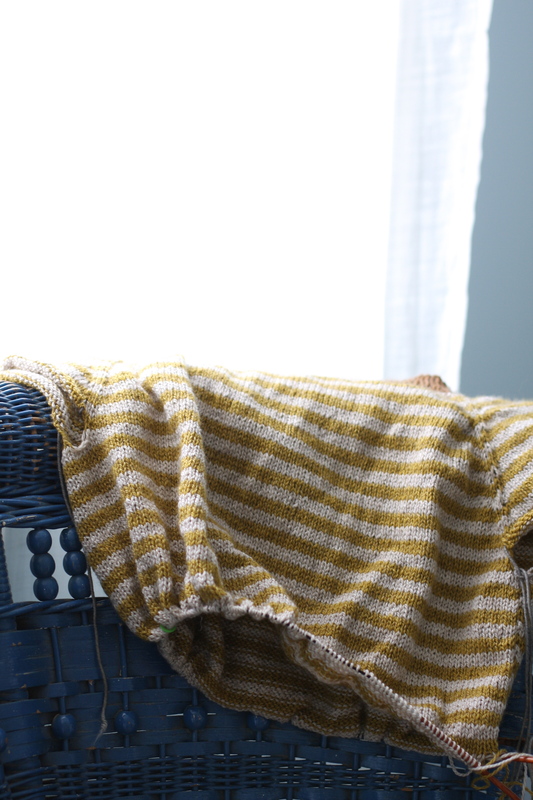 Looking forward to pictures and cute knits! Hung the calendar yesterday, BTW. It was worth the wait too! Oh that pull over is very nice, it looks like you are practically in the home stretch ! That sweater looks nice Katie. BTW, I love knit top down items. They seem so much easier! Beautiful! Congratulations on 13 years! What an accomplishment! ooh I love stripes and that color combo looks awesome!